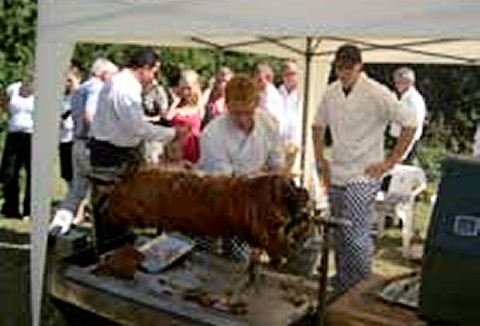 Efficient catering is an essential part of any event. We offer a wide range of equipment to help you run your event effectively and enjoyably, including hog roast, BBQs, popcorn/candyfloss machines, water boilers tables and chairs. Our host and roast package is very popular. We will provide the meats & accompaniments, along with the hire of a spit roaster, gazebo & tables; all you need to do is do the roasting yourself! Add a great atmosphere to any celebration or corporate event.